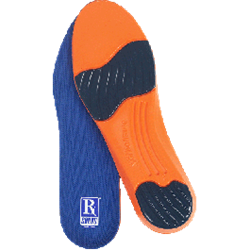 RxSorbo provides shoe insoles based on Sorbothane, a revolutionary new material. As part of an ongoing website overhaul, the company has released a new information page on shin splints. Athletes with intense work-out regimes can develop lower-leg inflammation, a condition commonly known as shin splints. RxSorbo, a leading online retailer of top-rated shoe insoles, is pleased to announce the availability of a new informational page on shin splints, including a guide to how find the proper insoles for pain relief. To learn more about insoles for pain relief for shin splints, please visit http://www.rxsorbo.com/rx-blog/foot-ailments-shin-splints. Note that the shoe insoles can also be purchased on Amazon at https://www.amazon.com/s?me=A3JAYEX82BUHD7 as well as on the RxSorbo.com website. On the Amazon website, directly, RxSorbo has over 71 positive ratings on customer satisfaction with the shoe insoles, with many comments and feedback posts indicating use against shin splints. The first step is of course correctly identifying the condition, so to help those with questions on the topic RxSorbo has an updated information page on the topic. Here one can find answers to questions about the symptoms of the syndrome and how insoles for pain relief can play a part. Shin splint pain is felt along the large bone in front of the lower leg, or the shinbone. People suffering from shin splint pain will notice inflammation and in the lower leg and the inner part of the lower leg will feel sore. Individuals with flat feet or high arches are at risk as well. While there is no permanent method for “curing” shin splin, the condition can be managed, and the body allowed to heal itself. Options recommended by a physician may include compression socks, shoes with good orthotics, and correct shoe insoles for pain relief.